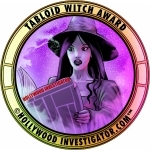 [HollywoodInvestigator.com] The 1970s were a Golden Age of British indie horror films, according to horror filmmaker Norman J. Warren in his Forward to Ten Years of Terror: British Horror Films of the 1970s -- and in an exclusive interview with the Hollywood Investigator! Warren talked to the Investigator on the occasion of Anchor Bay's release of The Norman J. Warren Collection on DVD (only available in PAL format -- for now). Although British horror cinema is mostly known for Hammer studio, by the 1970s Hammer's repetitive retreads of 1930s Universal monsters (Frankenstein, Dracula, the mummy, the wolfman) was supplanted by a Golden Age of British indie horror featuring such vibrant, innovative films as Psychomania, Horror Hospital, Vampyres -- and such Norman J. Warren gems as Satan's Slave (aka Evil Heritage), Terror, Prey (aka Alien Prey), Inseminoid (aka Horror Planet), and Bloody New Year. Speaking exclusively to the Investigator, Warren explained that Hammer declined "because they failed to consider new directions in horror. Curse of Frankenstein and Dracula were great films, and in their heyday the Hammer formula worked very well. But most of their films had a period setting, with characters who were mainly middle class. They lived in grand houses with an endless supply of money, and yet they never seemed to do any real work. It was a world few people knew and by the early 1970s the formula was tired. Young audiences were looking for something different. New independent films offered them horror in the real world, with stories set in familiar locations, and characters who dressed and spoke in the style of the day. Characters with whom they could identify." 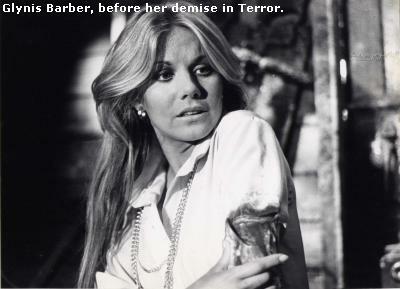 In 1968, before directing horror, Warren directed Her Private Hell and Loving Feeling, where met camera operator Les Young. "We shared a great interest in horror films, and we remained friends," said Warren. "Les was camera operator on a number of horror films, including The Oblong Box and Scream and Scream Again. We teamed to make Satan's Slave and Terror. Les was both producer and director of photography on those films." Financing for Satan's Slave was raised from independent investors. 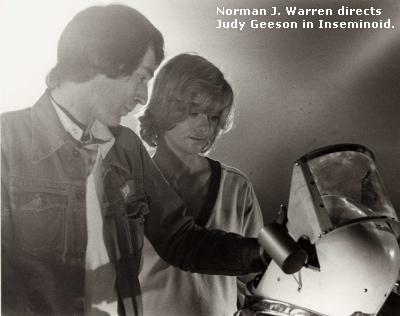 According to Warren, the film was a "reasonable success," so he and Young "decided to put all of the money into another production. So once again, Terror, like Satan's Slave, was a 100% independent production." 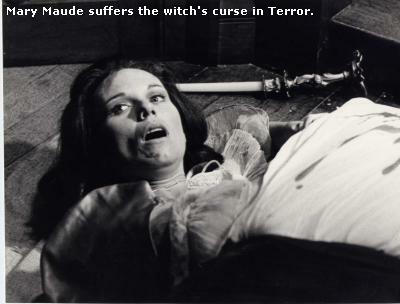 Terror is about a filmmaker's family cursed centuries ago by a witch. But although the witch supposedly targets this family, her curse instead kills anyone around the family -- including their enemies! Adding to the confusion, Terror sometimes features supernatural scares, sometimes a slasher. Colorful, exciting, and stylish, Terror has nevertheless built a reputation in horror circles for its confusing and contradictory plot. "It was intended that Terror should be fun," added Warren, "and also deliver shocks and gore. At the time of its release, we seemed to have hit on the right formula, because the film had success throughout the world. We were over the moon, and a little surprised, when for one week Terror became the number one film here in the UK." Despite his indie film sensibility, Warren did embrace one aspect of the Hammer tradition -- casting his films with a bevy of beautiful women! Like all his films, Terror is full of lovely female eye candy. As today, 1970s indie filmmakers expended much effort trying to raise financing; and as today, they often turned to tax breaks. "The Eady money system was still in operation during the 1970s," said Warren. "This was a tax system which presented the opportunity to increase the boxoffice take of your film, and give a quicker return to producers of low-budget British films. The system offered considerable financial advantages and was a great attraction to possible investors." "Apart from this, you just had to keep knocking on doors until someone said 'yes.' Or as we did with Satan's Slave, you dig into your own pockets and go for broke." British indie filmmakers in the 1970s were also assisted in their financing efforts by there being more competition in theatrical distribution, making distribution -- and thus financing -- more likely. "A good many small cinema circuits and independently owned cinemas operated throughout the UK," said Warren, "and as the double-bill was still standard programming, a theatrical release for your film was very possible." And of course, it helps to have a low budget. "The budget for Terror, from script to answer print, was around £50,000. I can't be more precise because when you're making your own film there are many things you do which don't get included in the budget." 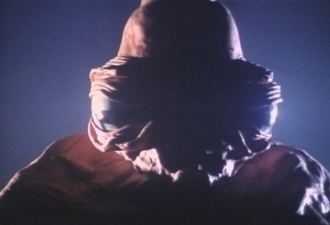 After Terror, Warren directed Inseminoid (aka Horror Planet), a curious blend of Alien and Friday the 13th. In Inseminoid, an astronaut on a hostile planet becomes infected by an alien germ or presence (yes, infected by a "presence," we're never sure), causing him to go on a Jason-like killing spree. Then another astronaut (Judy Geeson) is raped and "inseminated" by an alien (hence the title). Immediately pregnant with an alien child, she goes on yet another killing spree. And as in Terror, Inseminoid features many gory scenes that were seemingly included solely because they looked real cool. For instance, there's the astronaut whose leg is trapped in a crevice. She grows desperate as a crazed killer-astronaut approaches, so the trapped astronaut chainsaws off her own leg! Yes, another female astronaut. There are many lovely space birds on this hostile planet. "Inseminoid was very successful throughout the world." said Warren. "It didn't reach the #1 spot in the UK as did Terror, but Inseminoid was in the Top Five. 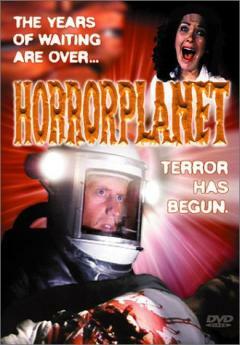 The American distributor changed its title to Horror Planet, which I never liked as a title. So I was pleased when some years later, it was changed back to Inseminoid in America." Britain has traditionally had tighter censorship restrictions on its cinema than the US. This tradition reasserted itself in the 1980s, when British anti-horror activists campaigned against "video nasties." Yet perhaps because Warren directed much of his work just prior to the anti-"video nasty" assaults, he told the Investigator, "I've never had any real problems with the British censor. All my films passed with only a few small cuts. "When we were making Satan's Slave, it was standard practice to shoot a second version of certain scenes for the 'export' or 'foreign version'. We shot alternative versions of certain scenes for Satan's Slave which were much stronger in content but not intended for UK release. Most of these were shown outside the UK. Prey had a closeup of Barry Stokes eating flesh, cut in the UK. Terror had some shots of a knife going through Tricia Walsh's foot. Inseminoid had a few frames cut from the birth scene -- of the baby monster between Judy Geeson's legs. But none of my films have ever been banned in England, and were never classed as a video nasty." 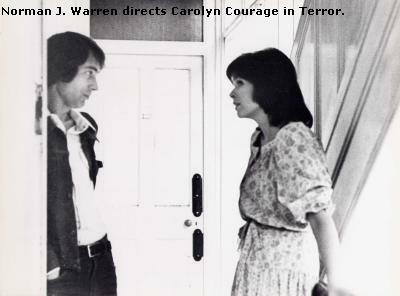 As for fans who are wondering whatever became of their favorite Warren starlets, Warren reveals, "Terror was Carolyn Courage's only film. She'd played a number of leading roles in television and on stage, and was with the Royal National Theatre for several years. In recent years, she abandoned acting for writing. Mary Maude has given up acting and now writes for a financial magazine. 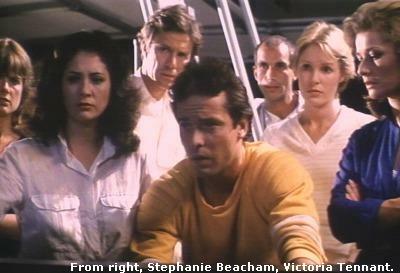 Both Carolyn and Mary are featured in the 'extras' in the Anchor Bay Terror DVD. Sarah Keller gave up acting and now lives in America with her husband and children. Tricia Walsh married and left the business. Glynis Barber still acts, but after a promising start with a number of leading roles in popular television shows, she now does mainly theatre and lives in the North of England." Warren advises fans to get the Anchor Bay DVDs of his films, if they have a PAL or multi-region player. 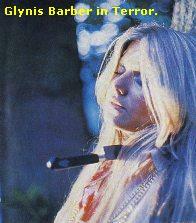 "The DVDs of Satan's Slave and Terror have been released in America (on NTSC) by Rhino. I've not seen them, but I'm told the quality is poor. And as far as I know, the only 'extras' are the theatrical trailers. The Anchor Bay DVD box-set includes Satan's Slave, Prey, Terror and Inseminoid, plus a bonus disc. 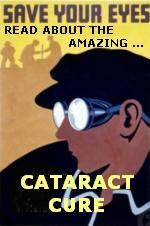 The quality is excellent and it's loaded with 'extras'. Someday, Warren would like to return to horror filmmaking. "Although I've not made a new feature film for a number of years, I've remained active as a director, editor, and writer, working on a variety of productions, such as documentaries, pop promos, and commercials for various companies, including the BBC. I'd prefer to be making feature films, but sadly, the industry no longer operates the same way. It's become far more difficult to get an independent film onto cinema screens. "Even so, I've continued to develop new projects. I'm quietly optimistic that I'll be making a new film in the near future."